Two rear-wheel drive, (usually) inexpensive, small and sporty models. Mazda's ubiquitous and spectacular Miata and Toyota's sharp and quirky MR2-- each has particular advantages and drawbacks, and we're going to try to add them up and see which you should be looking for on the bargain used market. These two cars make for a hard comparison, despite being in roughly the same used price bracket for a decent model. However, they are similar in a number of ways which make a comparison like this reasonable. First, they fill similar niches in the car world. The shopper who will be looking for either of these cars ought not be concerned about practicality. They're both two seaters with limited storage space--practicality is not really part of the plan. They may be used as a daily driver, but the owner will be making some sacrifices. By 1995, the Miata had become cemented in the market as an excellent option for those looking for a smile machine, and the year before, the model had benefited from a stronger engine. The newer 1.8 liter gave the Miata a little extra grunt, which made an already good formula even better. The car's extremely lightweight chassis and double-wishbone suspension make the car predictable and intuitive in driving. 23 years later, the cars are still in demand, but that does not mean they are hard to find. A good one will run from $3,000 to about $4500, and they can be found with relative ease. 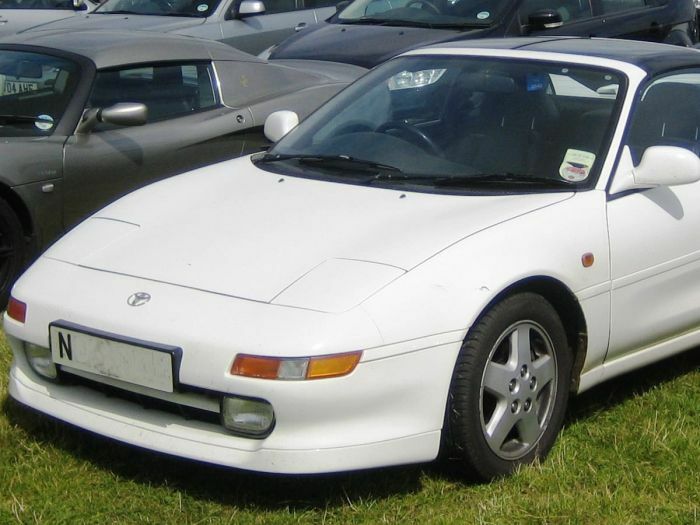 Unlike the Miata, the MR2's production run was not on the rise. In fact, 1995 would mark the last year that the car was sold in the U.S., until the MR-2 Spyder was released in 2000. The car had done well in the late 80's with supercharged variants and a tiny lightweight design. By 1995, the car had put on weight. The extra weight did not spoil the MR2's appeal, though. It was still a poor man's Ferrari; a mid-engine coupe, and with the turbo option, it was quick as well. These turbo options are hard to find now, and even harder to find without modifications, but after searching for a while, I found a few decent examples which ranged from $4,000 to $5,000. If you find one, you will most likely have to make a pretty substantial road trip to buy one. But don't worry, the road trip will be worth it. The MR2's turbo gives the car a sizeable horsepower advantage, and the extra 75 horsepower is enough to give the MR2 a more than 2-second advantage over the Miata from 0-60. The MR2 does suffer in handling with the extra weight over the Miata-- the extra 400-odd pounds is certainly enough to notice. The MR2 rolls a bit more in the turns, and the car has a tendency to snap-oversteer, a problem for which MR2's have become infamous. Overall, the MR2 feels a bit less stable in corners than the Miata, but the extra power is enough of a thrill to keep you coming back. To begin: the Miata is slower. And not by a small amount. The car was never intended to impress in a straight line, and it doesn't. The MR2 has the advantage here, and that's no small shortcoming. But when the Miata is back on its turf, and the road gets twisty, the Miata's legendary balance and control start becoming real. The Miata gives the driver confidence--and rightly so--in places where the MR2 has the driver wondering if he should have written a last will and testament. Don't get me wrong, the MR2's high-strung driving feel adds to the thrill in a way. But after stepping out of an MR2 you invariably feel like you narrowly avoided calamity--often because you did. Driving the Miata, in contrast, because of its easiness and progressive traction, gives the impression that you are really in control, and even when you spin, you can tell that you've gone too far--the car gives plenty of feedback. I love the MR2. It has a similar kind of appeal to me that my motorcycles have. The same kind of risky thrill makes me cruise Craigslist for MR2s and Supermotos. But I've lived with a Miata, and although it was not the best for everyday use, on the freeway, or on bumpy roads, I was always ready to throw it around turns if I found them. Even at the end of a 12-hour drive, I found myself grinning and balancing the car on the edge of grip. I can't imagine that I would feel the same after a long trip in an MR2. The ruthless auto market would seem to agree. The Miata has continued to sell well, while even a more mild reintroduction of the MR2 has since come and gone. The price is also an important factor in this comparison. $3000 can get you a 1.8 liter Miata that's not half-bad. You can find, non-turbo MR2s in this price range, but they lack the power which makes the Turbo MR2 so much fun. If you're willing to get your hands dirty, the difference in price is enough to add a modest turbo setup to the Miata, and you will still have the same progressive loss of grip, just a bit faster. For the same money, say $4500, you'd be looking at a fair-at-best MR2 Turbo. These practical price issues are what make the difference for me. I can't say its an easy choice to make, but if I'm in the market for either of these two, I'll be looking for the MR2 first, and then most likely buying a Miata.